of me, it’s feedback from you-my followers, and it’s the vision I was looking for during the year. them, grow on me and almost whisper, look at me I’m special; I need to be shared. the next calendar image each morning or night while I was photographing. times and I thank you for that. 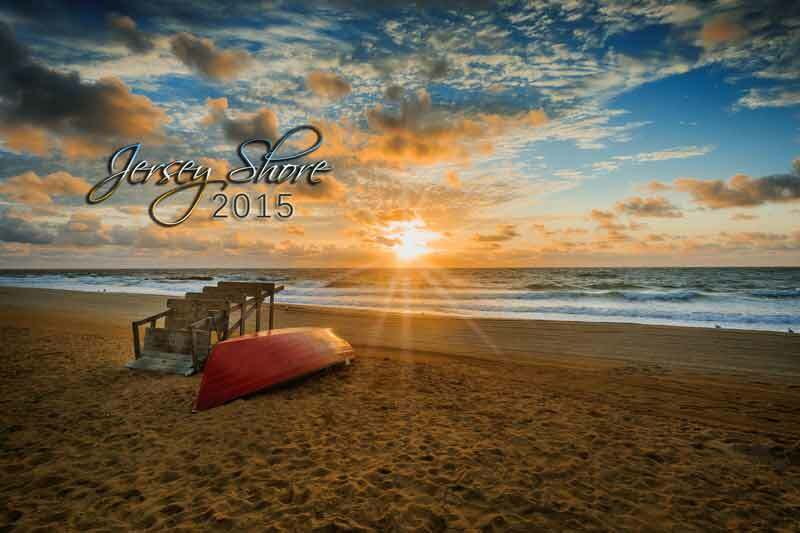 McKim Photography has released the 2015 Jersey Shore Calendar. The new calendar is sized 9″x12″ (18″x12″ unfolded) and include 15 images total – one for December 2014 and one for every month in 2015. The calendar includes brand new photographs from Bill McKim. We spend over a years time shooting for the calendar it sells out each year. This year the beaches of Belmar, Avon, Spring Lake, Manasquan, Long Branch, Sandy Hook, Bradley Beach, Ocean Grove, Sea Girt, Asbury Park , Point Pleasant, Shark River Hills, Seaside Heights, Island Beach state Park makes its first appearance in the calendar. US holidays and moon phases are marked. Jersey Shore 2015 calendar by Bill McKim makes a great gift.